Louise’s Pantry at Nazareth Housing provides nutritious meals to hundreds of families each week struggling with food insecurity. Louise’s Pantry exists so that families don’t have to choose between feeding their children or paying rent. From two locations in the Bronx and Lower East Side, families work closely with pantry volunteers to hand-select food items that best suit the nutritional needs of their households. Stocked with fresh fruits, seasonal vegetables, cereals, baby formula and much more, Louise’s Pantry fills critical food gaps and helps ease the financial stress of putting food on the table for a family each day. 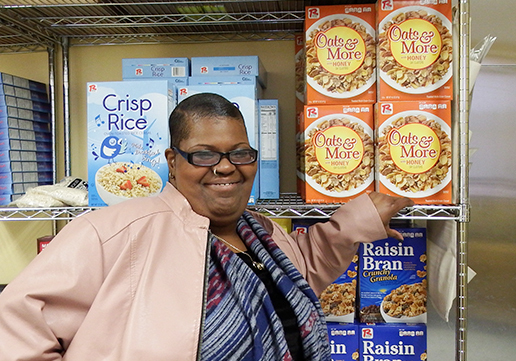 With a “more than food” approach, each pantry client receives a full intake upon registration to screen for benefits, initiate referrals, and connect them to additional Nazareth Housing services that foster increased independence. 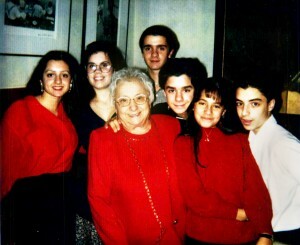 Louise’s Pantry is named for Louise Antinoro, mother of Anna Fantaci. We are grateful to the Fantaci family for helping Nazareth Housing launch Louise’s Pantry as an expansion of our food security services following Superstorm Sandy. Louise’s Pantry is “more than food” and provides our neighbors experiencing food insecurity a conduit for building family well-being including case management, nutrition and health workshops.